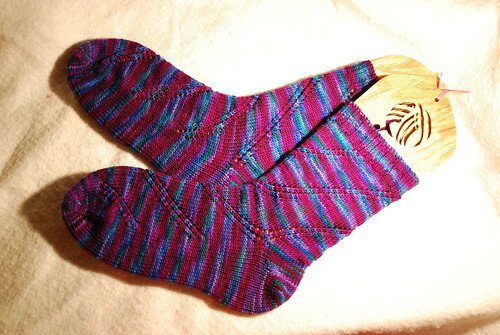 Beautiful sock–love the colors and the pattern! 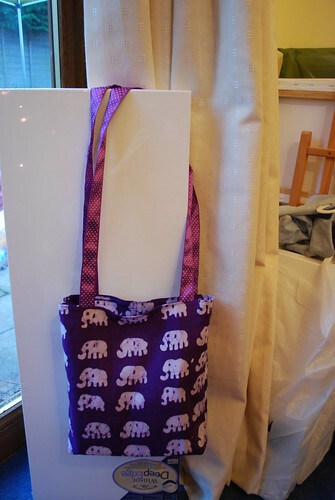 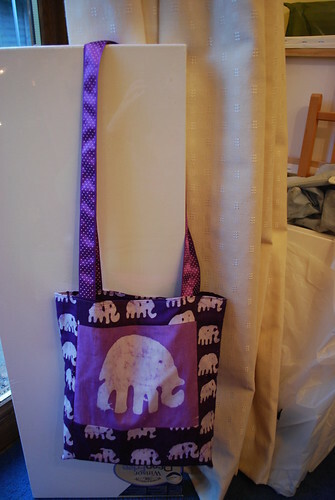 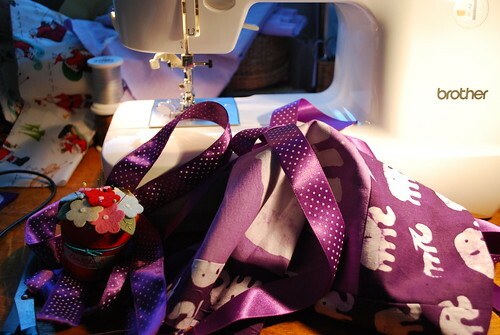 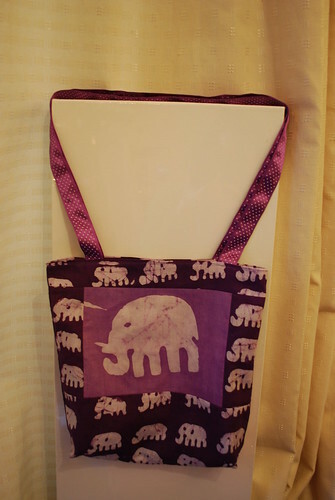 And what a cute elephant bag! 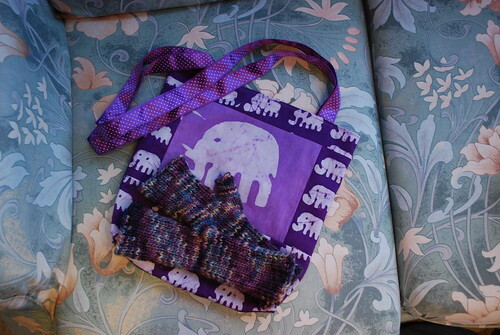 I love that print and you did a great job putting it together!